Green beans, runner beans, french beans or fagiolini - whatever you call them they are in-season on our farm! If you read our last post you know we are eating them damn'near daily! Here we pick them while they are still young & tender - not the huge knobby tough beans I was used to before. And don't even get me started on the difference between fresh picked beans and the soggy, salty ones I was force-fed to eat as a kid...from a can!! (No wonder so many kids grow up hating vegetables). Now I eat them right off the vine! This is a delicious, fast, simple and healthy way to devour these fantastic green veggies. 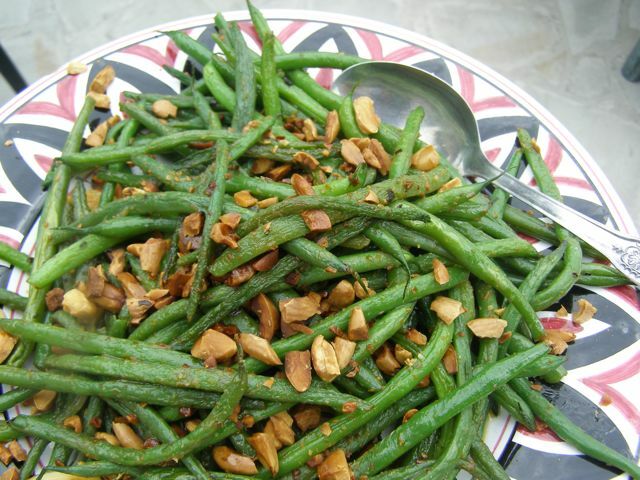 The crunchy, toasty almonds pair so nicely with the al'dente green beans, just begging you to go back for seconds - guilt free! Blanch your beans in boiling salted water for 3-8 minutes depending on the size and thickness of beans or until half cooked. In a frying pan slowly heat 3-4 glugs of olive oil along with the garlic and chili flakes. 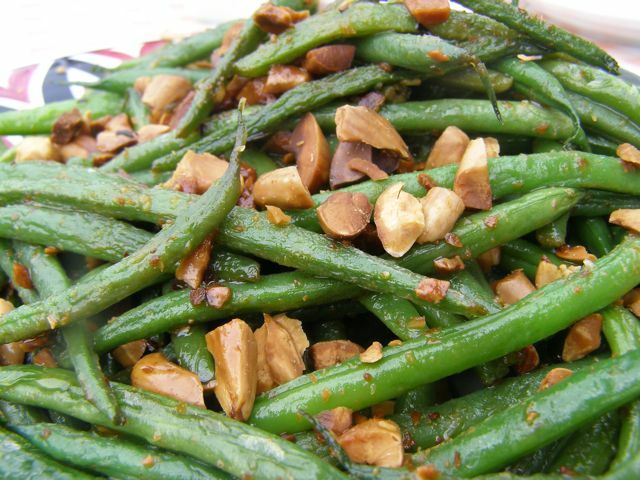 When the garlic is nicely browned turn the heat up and add in the green beans and saute for a minute or two. Add quarter cup of water. Allow the water to evaporate fully cooking the beans for about 3 minutes.